Current financial discourse suggests the imminence of a cashless society, a concept that arose from the global popularization of digital financial services and the development of technologies with the potential for application in financial markets. However, claims about the impending obsolescence of paper money are neither disruptive nor a novelty. Instead, this paper argues that the conversion of money from paper to bits has been a gradual, adaptive process, and that money is already digital. Moreover, in this paper we propose that the statuses of electronic money (e-money) and banknotes have switched in the view of monetary authorities. Current discourse about money mainly focuses on its supply in a digital format. The wide access to technological products and the introduction of bitcoin triggered recent hype, which suggests that a disruptive transformation in financial markets and systems is imminent. However, corresponding discussions surrounding electronic money (e-money), virtual currencies, digital financial services, and mobile wallets topics commonly overlap with the discussion of the digitalization of money. Policymakers and regulators have invested considerable effort in dealing with these mixed perspectives on the digitalization of money and catching up with market trends. In addition to hosting discussions at the national level, international bodies have undertaken several initiatives to explore these topics (CPMI 2015; CPMI 2017; IOSCO 2017; Pearlman 2017). Building on the existing literature, we analyze current perceptions of the digitalization of paper money and posit that, despite the recent hype, this digitalization is a long-term, ongoing process. For the most part, what we understand as money is that it stores a quantifiable value that one expects to be traded for any other asset in the short or long run. In our minds, money usually takes the form of sovereign currencies, which are associated with physical money—that is, banknotes and coins (cash). Digital financial services have brought financial services from bank branches to our homes and pockets. Thanks to the information and communications technology (ICT) revolution, money can conveniently be transferred from a bank account to an individual from a mobile device. Money transfers (even cross-border), bill payments, and loan requests have all become readily available through technology, bolstering the notion that money will soon go digital and paper money will become defunct. However, this concept is neither new nor recent. Although currently presented as disruptive, digital innovations in financial services have been discussed for at least two decades. In the late 1990s, it was already suggested that electronic cash cards could eventually displace cash1 (Shy and Tarkka 1998). By that time, both consumers and the industry were enthusiastic about the potential adoption of payment cards, but the economic rationale for the adoption of e-money2 remained unclear (Santomero and Seater 1996). Despite their substantial potential benefits, new technologies in the payments market have typically only been adopted after a considerable delay (Berger et al. 1996). This transformation process occurs both in developed and developing financial markets, even though the two markets are split in the provision of financial services through digital media. In developed markets, next-generation cell phones and wide broadband access have enabled the rise of powerful payment platforms that have allowed the digitalization of traditional services and the launch of innovative products. 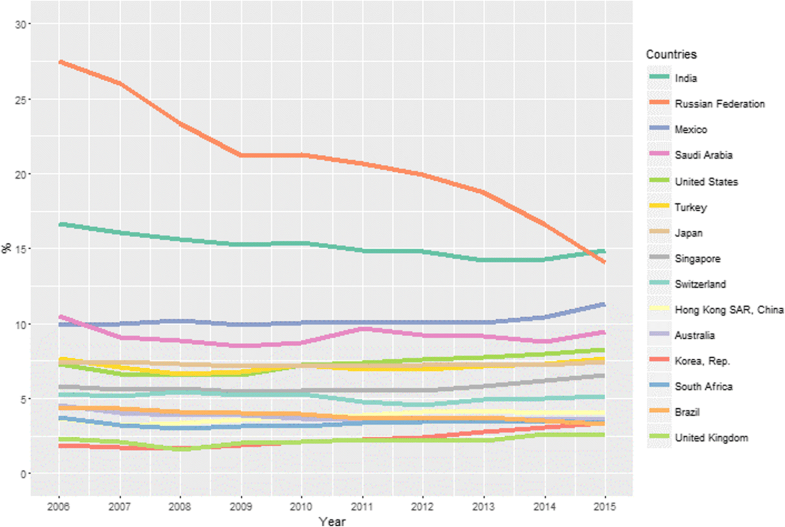 In these markets, the main concern has been the availability and credibility of innovative products (Dahlberg et al. 2015). Innovative platforms are booming with novel technologies in developed markets, but access to novel technologies remains limited in emerging markets. In spite of this, the use of e-money has increased in these markets with the help of telecommunications infrastructure. In these markets, the financial inclusion argument is the key driver; instead of new technologies, new methods of providing financial services supported by e-money have been adopted. Since mobile services have gained more widespread adoption than financial services among poorer segments of the population, financial inclusion initiatives are heavily dependent on the telecommunications network infrastructure (Albuquerque et al. 2014). However, e-money is not the only digital form of money. In fact, bank accounts have been digitalized since banks records were first transformed from accounting books to computer systems. Even though cash is a high-turnover commodity commonly used by people for retail payments, most money is stored in digital form. Figure 2 displays the series ratio of cash in circulation outside banks to broad money for selected countries from 2006 to 2015. Cash in circulation can be defined as the money in peoples’ hands that is used for trade or savings. When individuals stored their cash in banks, it transformed, in their view, into a digital form. In addition to cash in circulation, broad money includes digitally represented money (e.g., demand deposits, e-money, and money in savings accounts). The country series correspond to the available data from countries reported in the BIS Red Book (CPMI 2016; CPSS 2012). The 2015 figures show that India and Russia were the countries with the largest ratio of cash in circulation outside banks to broad money, at 15%. Russia demonstrated a sharp reduction in its ratio, of almost 30% in 2006, whereas India showed a slightly downward trend. All other countries fell below the 10% ratio, with the ratio below 5% in the United Kingdom, Brazil, South Africa, and Korea. However, cash in proportion to the whole economy remained somewhat stable during the past decade in these countries. No relevant changes were observed in the other countries except for Mexico and Korea, where there was a slight increase. The most of the existing money in the surveyed countries was already in digital form. Since online transactions are a requirement for payment transactions,7 the availability of electronic currency that can replace cash—motive (i)—is dependent on the cost of telecommunications infrastructure. As evidenced in remote areas without widespread and reliable telecom infrastructure, e-money is not always a less expensive replacement for cash. We expect, however, that such examples will become increasingly rare as ICT advances and the cost of telecom infrastructure decreases. Consequently, the use of cash will gradually become restricted to increasingly smaller niches. E-money may be granted a higher status than cash as ICT advances. Nonetheless, money, as a representative form of a quantifiable and tradable value, has transformed from a physical representation of bullion to a digital record kept at trusted institutions. During this transformation, e-money has become more convenient and has reached a broader group of users. Money is already digital. Going beyond the direct relationship between the cash substitution by new digital instruments, discussions on cashless societies go back to earlier times. See, e.g., the discussion between White (1984a, 1986) and Greenfield and Yeager (1986) for a debate on the increasing liquidity of bank deposits. Typically, jurisdictions define e-money as some monetary value stored on devices or electronic systems, which allows users to make payment transactions. In addition to banks, non-financial institutions, such as card or mobile networks, can usually also issue e-money. For a contrast among different kinds of money, see CPMI (2015). For country examples, see Jack and Suri (2014), Mas and Morawczynski (2009), and Bernal (2017). For a more precise discussion on this definition, see CPMI Digital Currencies report (CPMI 2015). motives, are discussed in a context that includes cash and quasi cash holdings (including demand-deposit balances and certificates of deposit). For CBDC, see CPMI and MC (2018). For privacy in cryptocurrencies, see Androulaki et al. (2013). The infrastructure resilience also conditions the availability of electronic payment instruments, which is also subject to random shocks such as natural disasters or malicious attacks. Indeed, this occurrence would be akin to historical systems, where banks issued redeemable claims for outside money (i.e., gold, silver, bronze, etc.). See, e.g., White (1984b), Selgin (1988), Dowd (2002). The author is grateful to the anonymous referees for their useful suggestions. The dataset supporting the conclusions of this article are available in the sources’ repositories. 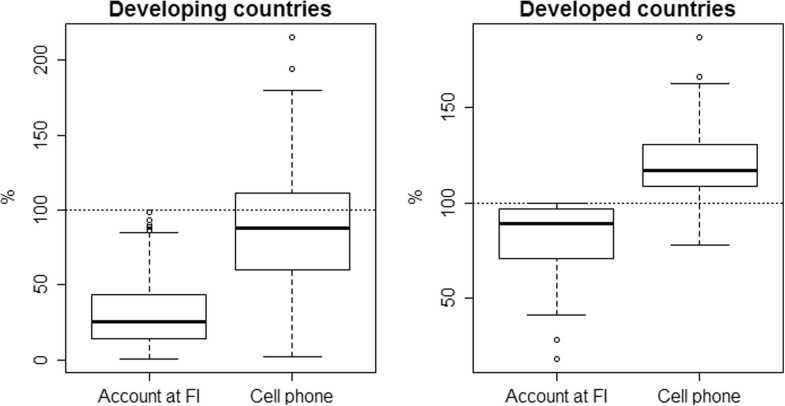 For the share of persons above 15 years old that have an account at a financial institution in a country, see World Bank’s Financial Inclusion Data / Global Findex at http://datatopics.worldbank.org/financialinclusion/; for the number of mobile cellular subscriptions per 100 people, see ITU’s World Telecommunication/ICT Development Report https://www.itu.int/en/ITU-D/Statistics/Pages/stat/default.aspx; for cash in circulation outside banks and broad money series, see CPMI’s Red Book statistics at https://www.bis.org/statistics/payment_stats.htm. The views expressed herein are of my own and do not necessarily represent those of the Central Bank of Brazil. IOSCO (2017). Research Report on Financial Technologies (Fintech). Technical report, International Organization of Securities Commissions. https://www.iosco.org/library/pubdocs/pdf/IOSCOPD554.pdf. Accessed 01 Jan 2018. Pearlman, Leon (2017). Distributed Ledger Technologies and Financial Inclusion. Technical report, International Telecommunications Union. http://www.itu.int/en/ITU-T/focusgroups/dfs/Documents/201703/ITU_FGDFS_Report-on-DLT-and-Financial-Inclusion.pdf. Accessed 01 Jan 2018. Shy O and Tarkka J (1998). The market for electronic cash cards. Research Discussion Paper 21/1998, Bank of Finland. https://helda.helsinki.fi/bof/bitstream/handle/123456789/7682/87446.pdf. Accessed 1 Jan 2018.